MCI-Shirley is a combined medium and minimum security prison for male offenders in Massachusetts. In reviewing the 16 years Bob Wojcik served in state prison, the Massachusetts Parole Board found a lot to like, particularly his commitment to rehabilitation and lack of disciplinary problems. But it was more than just his behavior inside the prison. The board twice cited Wojcik’s strong community support in its 2009 decision to release him. Prison visits played a major role in staying connected to family and friends, Wojcik says. That’s why he opposes a new Department of Correction policy that will cap the number of visitors inmates can have. State officials say the change will help reduce drug smuggling, a longtime problem in the prison system, and that the average inmate will not be affected by the limits. But advocates for prisoners say the restrictions will weaken family and community bonds for many inmates, potentially leading to greater recidivism. Starting March 9, prison visitors must be preapproved, and the number of individuals allowed to visit any one inmate will be restricted. Inmates in maximum security will be permitted no more than five names on their preapproved visitors list; inmates in medium security will be limited to eight names; and inmates in minimum security will be allowed 10, according to a Department of Correction notice summarizing the changes. Prisoners will be allowed to revise their visiting lists twice a year. The total number of allowed visits will not change. It is a substantial change from the current policy, which allows visitors to simply show up at a facility’s scheduled visiting time. After they complete a form, present an ID, and submit to a search, they are generally permitted to see an inmate. Prisoner advocates say the limits are likely to lead to fewer overall visits, weakening the connection between inmates and the community. The strength of these connections are a strong predictor for whether an inmate is likely to return to crime upon release, said Leslie Walker, director of Prisoners’ Legal Services, a nonprofit advocate for the humane treatment of inmates. Wojcik, 46, of Holyoke, served most of his sentence in a medium-security facility from 1993 to 2009 for his role in an attempted auto-insurance fraud that resulted in a fatality, according to the parole board’s decision in his case. During the years he was locked up, family and friends brought his three children to visit whenever they could, he said. A cap on the number of individuals permitted to visit would have been a hardship for his kids, he said. “I went to prison for a very specific reason — I killed somebody,” Wojcik said in a Globe interview. “But that didn’t mean I didn’t love my kids. If someone said, ‘I can bring your kids up,’ I’d have to say [under the new policy], ‘No, you can’t,’ ” if the person was not on his list. Fallon said discussions over the new visiting policy began more than a decade ago, and that similar restrictions are common in other states. The caps should not be a hardship for the average prisoner, he said. At the maximum-security Souza-Baranowski Correctional Center in Shirley, for example, the average prisoner is visited by 2.3 people, according to the Department of Correction, well below the limit of five. 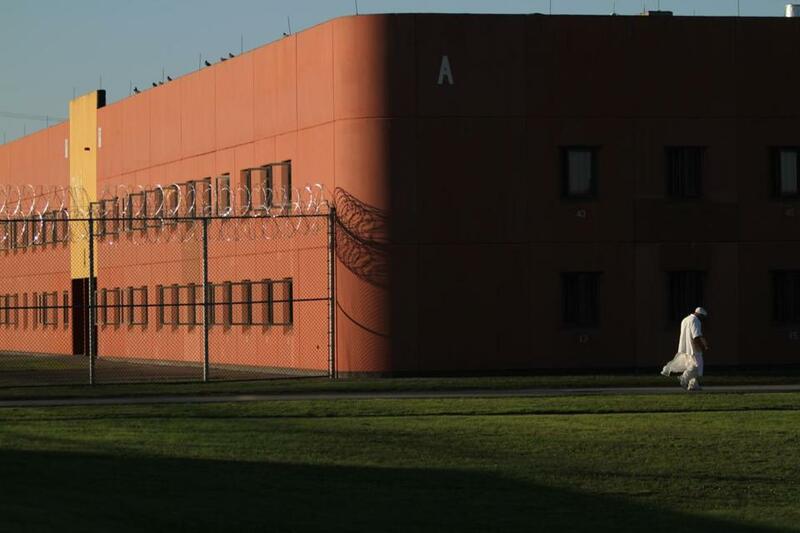 At the state’s medium-security prisons, North Central Correctional Institute-Gardner has the highest average visitors per inmate, at 4.6, far fewer than the limit of eight, officials said. Fallon said the higher visitor limits at less-secure prisons will also provide incentive for inmates to avoid trouble and make themselves good candidates to be reassigned to lower security. The new rules will permit inmates with large immediate families to petition their prison superintendents for exceptions, the department said. Advocates counter that the average number of visitors is misleading, because prisoners who get no visitors at all skew the numbers. They say inmates who have maintained healthy connections to friends and family will be forced to choose whom to exclude. Visiting an inmate is already a tedious, time-consuming process that involves a lot of waiting around. Under the new rules, the experience for the visitor should get better, prison officials said.